The Bernard / ITW / Weldcraft water coolers have been discontinued. 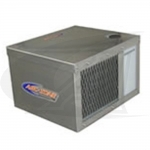 Arc-Zone recommends replacing the 2500SS, 3500SS, & 6500SS water coolers with Dynaflux water coolers. 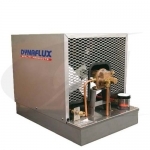 The look and function of the Dynaflux water coolers is very similar to the Bernard style water coolers, and many of the parts are interchangeable, including the pump. 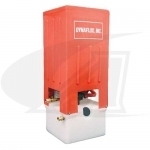 Note: Dynaflux coolers can be outfitted with an Oberdorfer style gear pump as needed. Contact our Customer Care team for more information. Arc-Zone stocks the most commonly needed replacement parts for Dynaflux Water Coolers, and has quick access to the complete line. Please see the Dynaflux Replacement Parts Category for details.